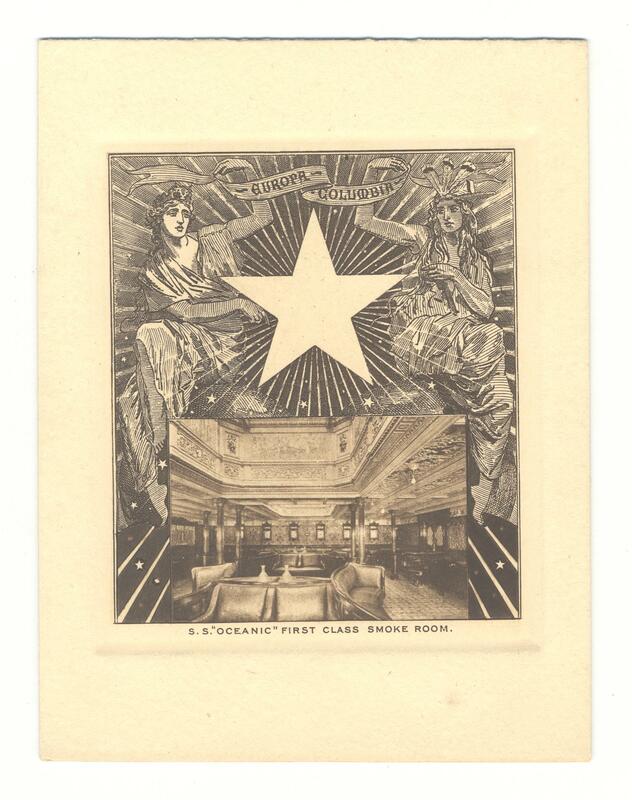 Dinner menu card, 1st Class tent design with Linley Sambourne illustration of figure of Europa facing Columbia. Title 'S.S. “OCEANIC” FIRST CLASS SMOKE ROOM. ', photograph, date on menu 10 November 1907.